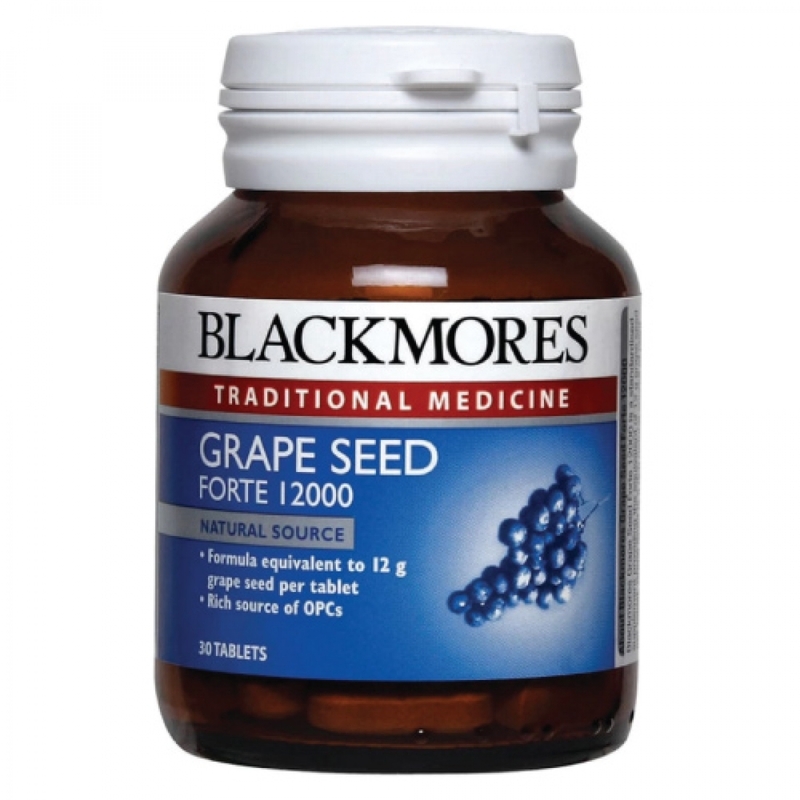 Blackmores Grape Seed Forte 12000 is a standardized supplement providing the equivalent of 12 g grape seed per tablet. Grape Seed is a rich natural source of plant flavonoids called oligomeric proanthocyanidins (OPCs) and has traditionally been used to maintain general health and wellbeing. Grape seed extract supports collagen structures and helps to prevent destruction of collagen, as it promotes the reinforcement of the natural cross-linking of collagen fibres.